All migrants’ journeys are difficult, but children are especially vulnerable to those difficulties. That’s why — now that around 2,500 people from the migrant caravan that began in Honduras have arrived in the border city of Tijuana — World Vision Mexico is working to guarantee the protection and welfare of the estimated 500 children traveling with that group. To start, World Vision Mexico has set up special breastfeeding spaces, to create safe and dignified places for mothers to care for their babies — the most vulnerable of these children on the move. In order to protect the children from low temperatures and shortages of basic services, World Vision Mexico has begun installing a child-friendly space with a capacity of 1,000 children. There, trained World Vision staff will provide safe spaces for children to play and return to normal routines by offering games, activities, and informal education to address the impacts of stress, fatigue, and fear. Similarly, World Vision will provide a month of nutritional kits for 1,500 people to offer access to nutrients for children and their families, many of whom have deteriorated health conditions from their extensive journey, in many cases made on foot or by bus. World Vision is also collaborating with local churches and other organizations to provide quality services to these children. Furthermore, World Vision Mexico is supporting the evaluation and improvement of conditions at open-door shelters established in Tapachula and Mexico City. Sadly, the countries of the Northern Triangle—El Salvador, Guatemala, and Honduras—continue to be plagued by endemic levels of crime and violence that have made many communities extremely dangerous, especially for children. Because World Vision works in hundreds of communities in Central and Latin America, we understand the violence and sense of hopelessness that is driving families to leave their homes. (Read our full statement on this recent migration.) As Christians, we are called to love and serve the most vulnerable among us, to welcome the stranger, and to show hospitality to those in need (Matthew 25:35). Our hope is that by addressing the root causes of poverty and violence across Latin America, we can prevent unsafe migration from happening in the future and protect children from the violence and trauma they may encounter at home or along the way. But in the meantime, we’re reaffirming our commitment to children by responding to this humanitarian emergency where help is needed. 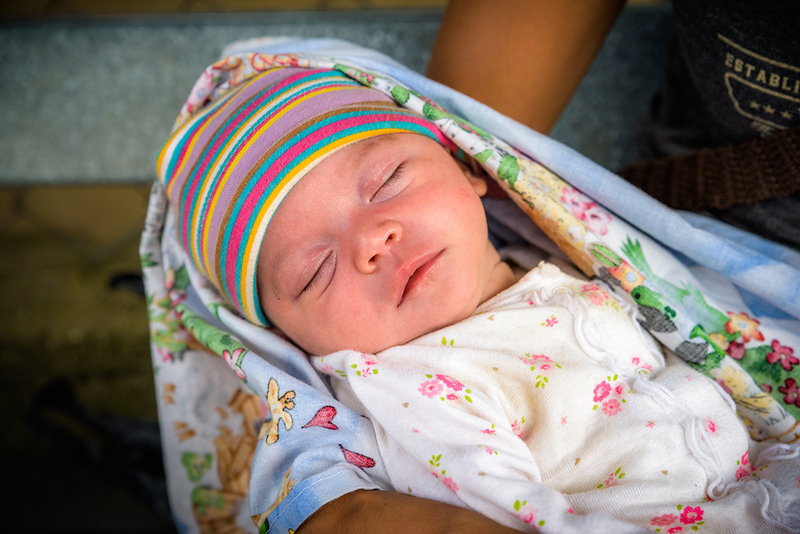 Photo: A baby at a government World Vision-supported clinic in Jamastran, Honduras. The clinic is supported by WV though medicines, water, and sanitation. ©2018 World Vision/photo by Jon Warren. I work for an assisted living company and my senior residents would like to know how they can get involved and help/volunteer/etc.